Aloha from Maui! 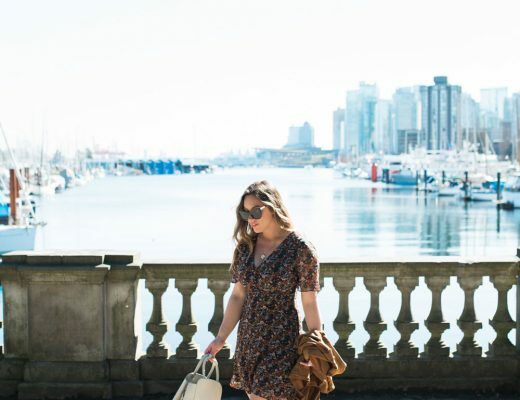 While I’m taking a bit of a break to soak in the sun here on the island, some very lovely bloggers from across North America will be taking over to share some of their tropical style inspiration to get you ready for your next sunny vacay! First up is the lovely Kimberly of Penny Pincher Fashion, who is as kind as she is lovely. Have really loved getting to know this beautiful lady over the past couple of years via Instagram and am continuously inspired by her lovely style. Click through to read her post and tropical style tips! Hello, TVOB readers! I’m Kimberly from Penny Pincher Fashion, where I blog about my own personal style, hair and beauty tips and budget-friendly fashion finds. My site is all about finding affordable pieces and styling them in a way that looks expensive. I’m so thrilled to be guest posting for Alex today while she’s enjoying her vacation in Hawaii. She asked me to share a look that I would wear on a tropical vacation. I don’t know about you, but when I’m on vacation, I just want easy relaxed pieces that I can throw on and instantly look pulled-together. A flowy dress and slip-on sandals are ideal for walking on the beach, strolling through town and grabbing drinks. This type of style is flattering on anyone and can seamlessly transition from day to evening by just swapping out your shoes and changing up your accessories. Plus, I’m always a sucker for anything with stripes and pockets. Thanks so much for letting me share with you today – I hope you’ll stop by to visit PPF and say hello! Stripes are one of my favorite things to wear in the summer! Love this dress! I have that same bag and love it! I'm heading to Old Navy to pick up this purse today! Heading out to get sandals just like those. Love them! I am crazy-in-love with anything striped right now, dear Kimberly…and this dress is no exception!! Everything is perfect, from the handkerchief hemline to the contrasting belt and edge details…and that bucket bag makes for a winning finish! !